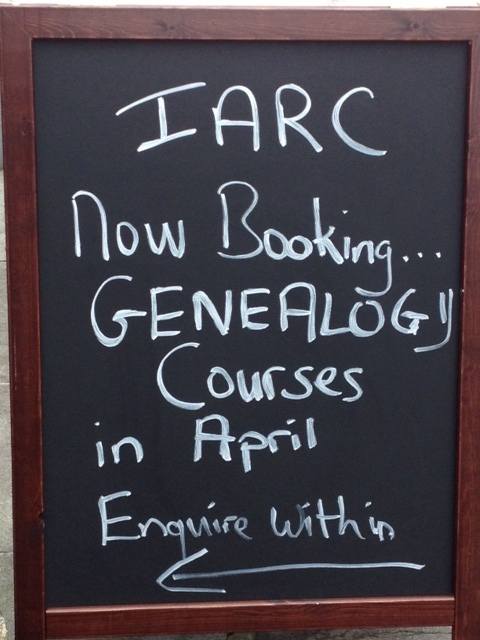 Then, enrol now in IARC’s early summer series, starting 17th April 2014. Aoife, Anne Marie and John manned the IARC stand at the Genealogy Day (at Christ Church, 51A O’Connell St., Limerick City, Ireland) on Saturday 15th March 2014. They also manned the Christ Church stand with their original records for baptisms, marriages and schools registers from the mid 1800s onward. Fascinating stuff!, nice day. IARC had a stand at the Olympia Conference centre in London, 20th-22nd Feb 2014 at the “Who Do You Think You Are? Live” genealogy conference. Pictured is the IARC stand, and John King with Margaret Mellor of Tourism Ireland at the event. At the formal opening of the Riverdance show in the University of Limerick (UL) on Friday 17th Jan 2014, Bill Whelan was presented with his family history. 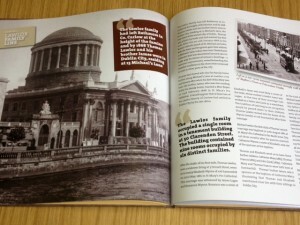 The book was commissioned by the UL Foundation and the work was produced by the Irish Ancestry Research Centre, based at 58 O’Connell Street, Limerick City. 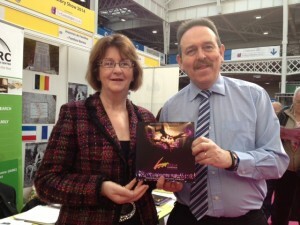 Pictured: David Cronin CEO UL Foundation, Loretta Glucksman (Chair UL Foundation). Bill Whelan, Pauline Ryan (Chairman IARC), John King (CEO IARC). 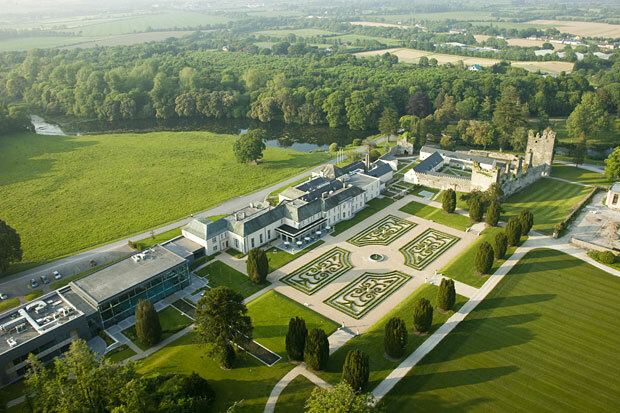 The IARC team attended the final day of the Worldwide Ireland Funds Conference in the Castlemartyr Resort, Cork on 23 June, 2012. Over 250 supporters from eight countries attended this conference, which ran over three days and focused on the progress of the ‘Promising Ireland’ campaign. 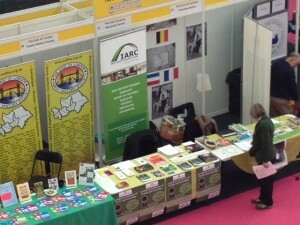 As part of the event schedule, delegates at the conference were given the opportunity to meet with IARC to discuss researching their Irish ancestry. 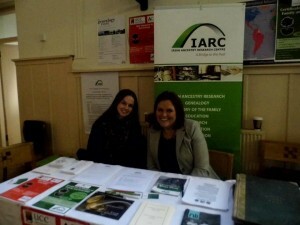 We had a number of meetings on the day and attendees were pleased with the research conducted to date and enthusiastic about the possibility of further exploration of their family history with IARC. 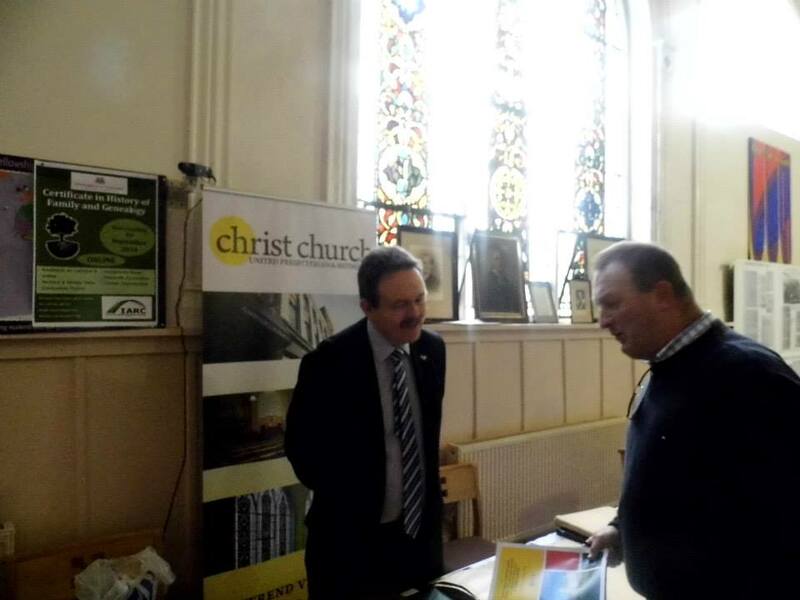 Click on the Player to listen to interview with Dr David Butler, IARC Academic Director, on Youghal Community Radio discussing IARC services. 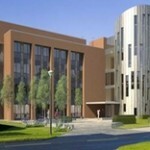 The Tierney Building, University of Limerick was officially opened by Minister for Finance Micahel Noonan 21 November, 2011. 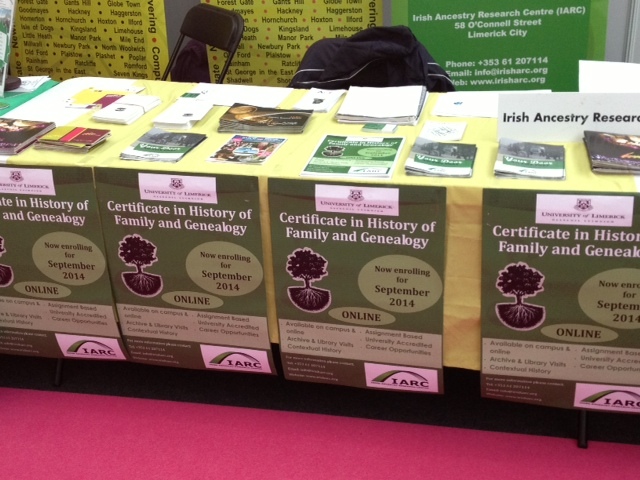 IARC made a successful representation with the genealogical education sphere at the RDS during the ‘Back to Our Past exhibition’ at the RDS. 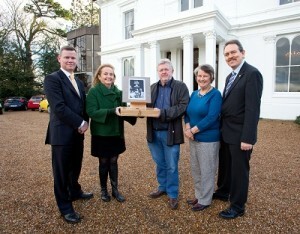 The Irish Ancestry Research Centre (IARC) was recently opened at University of Limerick. IARC will be a centre of excellence for Irish ancestry and genealogy. Founded by philanthropist Pauline Ryan and based on campus at University of Limerick, the Irish Ancestry Research Centre is an independent, not-for-profit organisation, providing genealogical assistance and education to a global market, with a particular focus on the USA. The Irish Ancestry Research Centre will be housed at the Tierney Building on campus, and will provide a research library, one-to-one assistance and training on ancestry research. The Centre will also provide the opportunity to commission research on family ancestry. 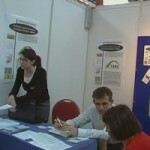 The Irish Ancestry Research Centre website at www.irisharc.org provides more information on the services and research opportunities. 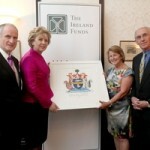 The above image is that of the presentation to the President of Ireland of the McAleese Heraldic Coat of Arms by Pauline and John Ryan. 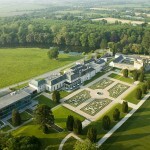 This presentation took place in Dromoland Castle at the 2011 Ireland Funds Conference. President Barack Obama’s Irish links to Moneygall, Co. Offaly came to light in 2007 following research conducted by Megan Smolenyak. In 2008, Eneclann researchers, Fiona Fitzsimons and Helen Moss, researched President Obama’s Irish ancestry back from Falmouth Kearney, Obama’s 2nd great-grandfather to Obama’s 7th great-grandfather, Joseph Kearney born ca. 1698. They also traced close kinship – probably a brother – with the family of Michael Kearney, peruke maker, in Dublin. 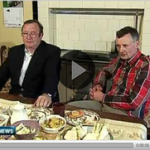 Dr. David Butler (IARC) was heavily involved in tracing Obama’s roots in Ireland also. 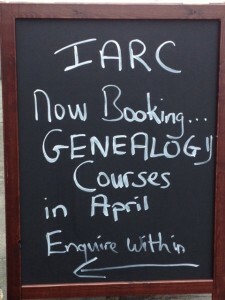 To contact David, email david.butler@irisharc.org.